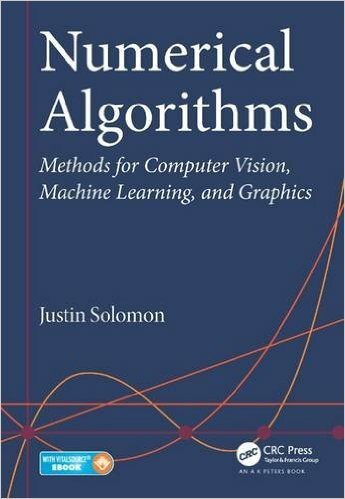 Justin Solomon wrote:Numerical Algorithms: Methods for Computer Vision, Machine Learning, and Graphics presents a new approach to numerical analysis for modern computer scientists. Using examples from a broad base of computational tasks, including data processing, computational photography, and animation, the textbook introduces numerical modeling and algorithmic design from a practical standpoint and provides insight into the theoretical tools needed to support these skills. The book covers a wide range of topics -- from numerical linear algebra to optimization and differential equations -- focusing on real-world motivation and unifying themes. It incorporates cases from computer science research and practice, accompanied by highlights from in-depth literature on each subtopic. Comprehensive end-of-chapter exercises encourage critical thinking and build students’ intuition while introducing extensions of the basic material. 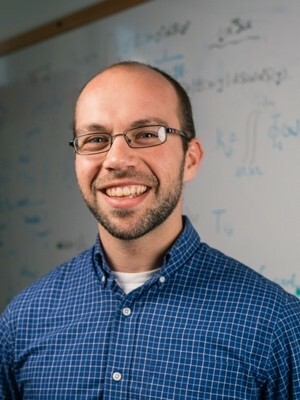 X-Consortium Career Development Assistant Professor and Principal investigator at Geometric Data Processing Group, Computer Science and Artificial Intelligence Laboratory (CSAIL), Department of Electrical Engineering & Computer Science, MIT.